Kicking off a year full of documentaries concerning 1966 nostalgia was Sky Sports with its The Boys of ’66 programme. Although the broadcast was overshadowed by the companion Monday Night Football show claiming to prove Geoff Hurst’s second goal really did cross the line, this documentary was well worth acclaim in its own right. Sky Sports may be synonymous with football in the Premier League era, but a strong number of personnel from 1966 were interviewed – several of the players, plus others such as singer Chris Farlowe who occupied the number one UK singles spot with Out of Time when England won the World Cup. Martin Tyler, who lived through the triumph, proved a good choice as presenter. He would revisit places associated with the tournament such as England’s base of Hendon Hall. “It was a great time to be alive. It was a fantastic time to follow England. And 50 years on there’s never been anything like it,” he said during his intro to the programme while standing outside Wembley. Sadly, it’s an ever-decreasing percentage of the population who can recall the day – and it may be some time yet before such glory is repeated. The programme can be viewed here via DailyMotion. One of the most enjoyable documentaries lately was Alfie’s Boys, another programme celebrating the 50th anniversary of England’s triumph. With any 1966 retrospective there’s a danger of going over the same old ground and offering little fresh insight, but the BBC made excellent use of its archives and included some footage probably not seen anywhere in the past 50 years. It helped make for a far more enjoyable 90 minutes than many of the matches at Euro 2016. The build-up to Euro 2016 saw a sudden surge in nostalgia for Euro ’96 held in England 20 years ago. The BBC certainly seemed to want to pay homage to the tournament by showing England’s matches against Scotland and Germany in full on the red button. But its main celebration of the competition – or at least England’s involvement in it – was Alan Shearer’s documentary When Football Came Home, as the tournament’s top scorer met up with several other key English personnel from 20 years ago to share their memories. He visited former manager Terry Venables at his hotel in Spain, was reunited with Paul Gascoigne, enjoyed a round of golf with old striking partner Teddy Sheringham and went for a stroll with David Seaman. For those old enough to remember them in their prime, perhaps the most welcome sight was former BBC commentary rivals Barry Davies and John Motson being interviewed together. A companion radio show of the same name, hosted by Mike Ingham on 5 Live with Shearer one of the studio guests, was also enjoyable. ITV also looked back 20 years with The Summer Football Came Home. It’s a shame so many enjoyable ITV sport documentaries are broadcast on ITV4 after the watershed, meaning they go unappreciated by the mainstream audience. This one would be scheduled the same way and also have the misfortune to go out a few days after the BBC had looked back at Euro ’96. But it was still good to watch, with several England players from the tournament sharing their thoughts including Gareth Southgate and Stuart Pearce (who both for whatever reason did not contribute to the BBC show). Those who don’t buy into the Euro ’96 love-in may have found England’s achievements a little overplayed in the documentaries, but ITV did at least question if errors were made as they lost out to Germany on penalties. Pearce was full of praise for Venables but believed a mistake was made when it came to Southgate being first up for England when the penalties went to sudden death. “Football should be more than just practising penalties,” he told presenter Gabriel Clarke. “At the end of it it should be a case of knowing full well who are the best penalty takers from one to 23 and we never done (sic) that.” One senses Venables too would not be putting Southgate up to take it with the benefit of hindsight. In a year of landmark anniversaries for England fans, the World Cup of 1986 has tended to be overshadowed by the World Cup glory of 1966 and near-miss of Euro ’96. 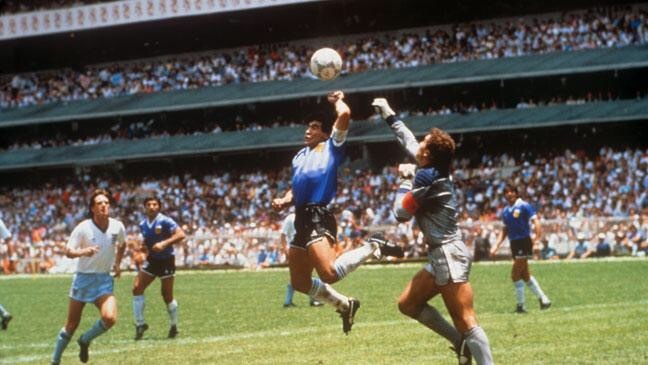 But the 30th anniversary of Diego Maradona’s infamous ‘Hand of God’ goal for Argentina against England certainly did not pass unnoticed, with ITV4 screening an excellent documentary looking back at the match. Gary Lineker’s production company Goalhanger Films was behind it, with Lineker joined by former team-mates Terry Butcher, Glenn Hoddle, Steve Hodge, Kenny Sansom and Peter Shilton to relive the tournament and this match in particular. Excellent use was made of the ITV sport archives, with clips played of studio coverage from 30 years ago such as from Saint and Greavsie. “He cheated us but I’ve forgiven him,” said Lineker, a man who has enjoyed time in Maradona’s company since the incident. But others are less forgiving. “He’s a horrible git ‘cos he cheated,” snapped Sansom, while Butcher – who has never seemed to be the forgive and forget type – would label Maradona a “flawed genius”. Butcher recalled asking Maradona afterwards, while being drug tested, if it was a handball or header and being told handball – a revelation which surprised his former team-mates. But this contradicts what Butcher said in the 2000 documentary ‘Three Lions’, in which he claimed Maradona indicated to him he had used his head. Irrespective, it’s fair to assume Maradona isn’t on Butcher’s Christmas card list. The officials also came in for their fair share of stick. Lineker believed the linesman saw something but still kept his flag down, while the debate continues to rage over whether the referee was suitably experienced to be in charge of such a match. The camaraderie among the group was still there three decades on along with visible affection for Sir Bobby Robson, in a programme that did justice to England’s campaign and that one match in particular. UK viewers can currently view the programme at the ITV Hub. 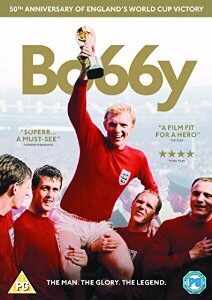 The only one of our six documentaries not to have been screened on television and also the sole choice not specifically about England, the release of the new Bobby Moore movie Bo66y represented good timing – marking the 50th anniversary of England’s World Cup triumph and also with West Ham United this summer leaving Upton Park, where he so often played during his career. The story is fairly familiar, but that didn’t prevent this making excellent viewing as former colleagues and relatives paid homage to Moore. A combination of still being the only captain to lift a major trophy for England and having sadly died at the age of just 51 means there is an enduring fascination with Moore. But the later years of his life will never make for happy memories, as the question continues to be asked of why he was so overlooked for desired roles within the beautiful game – his managerial pinnacle would be a stint in charge of Southend United. There remains the great ‘what if?’ over missing out on the Watford manager’s job to Graham Taylor, having believed the post was his after meeting chairman Elton John. It was a bitter blow. Yet such disappointments pale into insignificance compared to his battles with cancer, the last one tragically cutting his life short in 1993. Commentator Jonathan Pearce was moved to tears as he recalled having to tell his regular radio sidekick Moore – at the request of his family – that he shouldn’t come with him to a match just days before his death, having to live with Moore telling him he was disappointed with the decision (they never spoke again). As with a previous in-depth Moore documentary Hero, the viewer is left with the feeling that English football only truly began to appreciate and want to recognise the former captain after he died. For Moore it was too late, but his legendary status continues to grow.